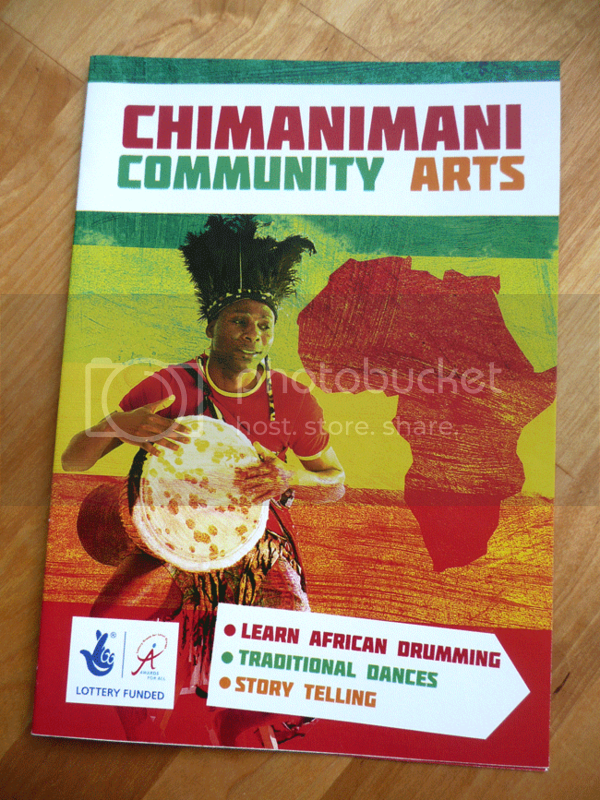 Here is a recent A5 brochure design I’ve worked on for Chimanimani Community Arts Group, they teach African drumming lessons to schools and colleges in the South West. 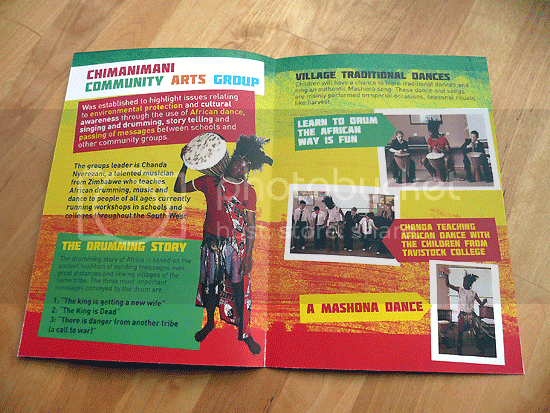 The brochure needed to communicate the African theme as well as what the arts group provided. A bright colourful look was needed to generate interest and excitement. Aimed at both teachers and students the use of bright African inspired colours and a gritty texture acted as a background to the brochures information. Good work Dot, meets the brief exactly. I would certainly pick it up to read it. looks very good mate. i like the texture effect on the front.